Tile roofs in Denver give your home stunning beauty and a lifetime of protection. Concrete tile stands up to our changeable Colorado weather. If you want to make an investment and a statement about your good taste, call now for expert installation of versatile and long lasting tile. • The materials are heavy enough to take snow loads. • High winds will not lift them. • They can resist hail damage. • They stand up to the UV rays at higher elevations. Do You Need Pieces Replaced? Need replacement pieces you can no longer find? Wilson Brothers has a large inventory of salvaged tiles and trim pieces that are no longer manufactured. If we don’t have it, we know who does. Call us or bring us a sample. We will track down a replacement and restore your roofing. You will love the available textures and styles, from barrel-shaped to slate-like, and even a shake look. 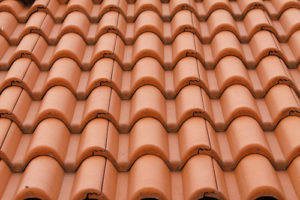 Tile roofing systems enjoy a long, proud history in the Denver Metro area. It will make a tasteful and luxurious statement on your home. Call now at 303-294-9535 for a free estimate. • They last a lifetime with minimal maintenance. • More durable than clay, slate or shake but they look just like them. • Keeps your home warm in winter because of outstanding insulating properties. • Fiber reinforced for added strength. • Our manufacturers offer exclusive colors and coatings. Enjoy natural materials that require minimal processing. Clay and tile are excellent insulators with low heat transfer, keeping your home cooler in summer and warmer in winter – which will cut your energy costs. You will reduce landfill waste. Tiles have useful lives of at least 50 years and much longer. Standard shingles must be replaced every 15-20 years. That shingle waste goes into landfills! Is Tile Right for You? There is no question that concrete and clay are heavy. That is what makes them such durable materials. Not sure if your home can support the weight? Just call and ask. Let us introduce you to high-tech versions that are lighter than the natural materials yet just as strong. No one who will be admiring your home will know the difference! 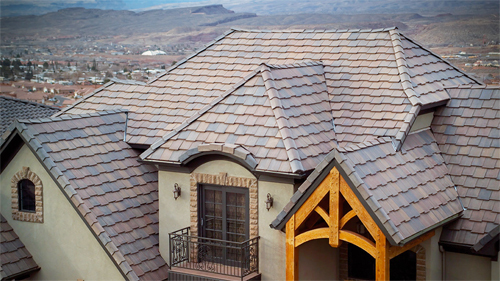 • Our tile roofs in Denver are laid on top of a sturdy and tight water-resistant layer. We have long mastered the best practices you need for a lasting installation. • Concrete requires great skill in order to be cut properly. Trust our years of experience and talk to our satisfied customers. • Clay is brittle and requires careful attachment so it does not crack. You can count on a firm that has installed them since 1984. • You will get a five-year workmanship warranty and reliable lifetime maintenance on all installations. Concrete and clay offer stunning good looks that work with any architectural style. They showcase a home to its fullest potential. Because they last 50 to 70 years or more, they are a sound investment. Call us now for help choosing the right color, grade, and texture for your home. More and more Coloradans are discovering the benefits of concrete and clay. We repair, replace and install new tile roofs in Denver, Lakewood, Thornton, Northglenn, Brighton, Broomfield, Boulder, Westminster, Arvada, Golden, Littleton, Highlands Ranch, Cherry Hills Village, Greenwood Village, Aurora, Parker, Castle Pines, Castle Rock, Evergreen, and Centennial.